In the sort of creepy move you’d expect to see in Saddam Hussein’s Iraq or Kim-Jung-Il’s North Korea, high school bands in Oregon are being used as propaganda organs for Obamacare. The Oregon: agency behind Obamacare-promoting,: taxpayer-funded ads that have garnered national attention for their: hipster: and: trippy: vibes defended the spots Wednesday. And next up? 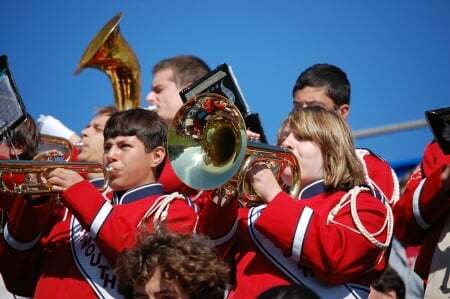 The agency will be looking for high school marching bands to play the pro-Affordable Care Act anthem in a contest aimed at bringing more attention to the government-funded health care exchange. Liberalism may be a selfish, completely dysfunctional ideology that’s destroying America, but at least liberals can take comfort in the fact that they’re good at indoctrinating children.